Wow! I can’t believe it’s nearly the end of 2013! This year has gone so quickly and I’ll be very sad to see it go because this year has really allowed me to really blossom as a blogger and find my style. January was a very exciting time indeed because I was featured in the Daily Mail in reply to their article about ‘sick-lit.’ The inverted commas are there for a reason. This was such a crazy thing for me and something I am something I’ll never forget. very proud of. I still can’t believe it! When I got the phone call to say my letter would be featured, I was very shocked. It was also very surreal to have a photographer come to my house and take pictures. That’s something that I’ll never forget. January also means the birth of Queen of Contemporary! For those of you who don’t know, the blog used to be called Read, Write, Sleep, Eat! but I decided to change that in January and I’m so pleased I did. Queen of Contemporary just seems to fit the blog perfectly. I named it because I had been going through a contemporary kick at the time and this also signalled the start of me taking blogging seriously. My blog somehow kicked off and you all flocked in, which made me very, very happy. I still can’t believe it because I do think of myself as a baby blogger. I find it crazy people want to read the stuff I write. February was a pretty uneventful month for me, but I did get to go to one of my first events which was a blogging talk with the lovely Carly from Writing from the Tub. 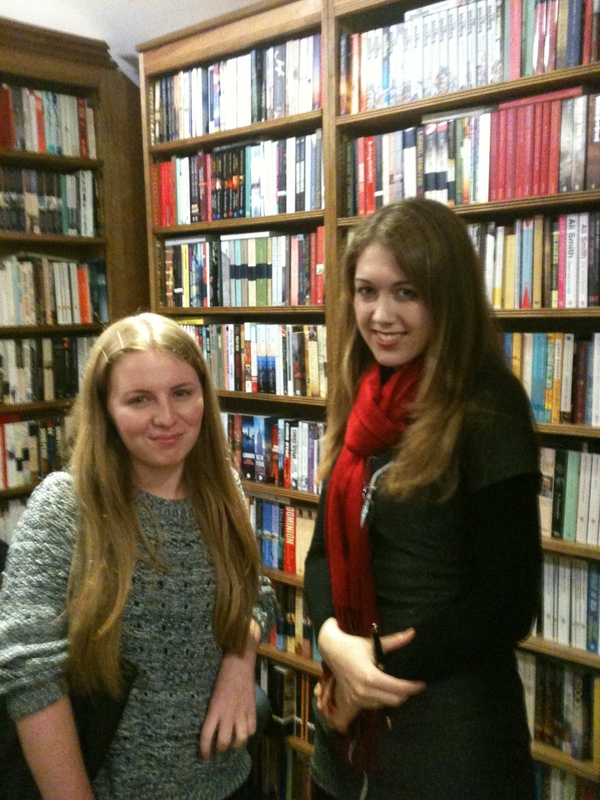 I got to meet Carly as well as Sophie from So Many Books, So Little Time, which was just amazing. I think meeting bloggers for the first time really sealed the deal for me. Suddenly this wasn’t something I did on my own and I started to feel a part of the community. In March I got to go to a great talk at a nearby library with a few of the authors published by Chicken House: C.J. Skuse, Rachel Ward and Lucy Christopher. I had been to a signing before, but nothing like this and so I was just so happy afterwards. I was also invited to the Smuggler’s Kiss launch by Marie-Louise Jensen which I loved. I felt so honoured to be invited and I really enjoyed myself. April was another uneventful month but it was my one year blogoversary, which was a really big achievement for me. It was so nice for so many of you to comment and visit the posts during the week because it made me love the blogging community even more. In May, I read Harry Potter! I know, I know! I was pretty late to the party but I loved them and I’m pleased I finally got around to reading them and finding out what all the fuss is about. Yay! I also filmed my first video and uploaded it to my YouTube channel which may not seem like a massive thing but it has sparked my love for making videos and it’s something I’m really passionate about. I’m glad I made the massive leap and filmed that first video because it was definitely worth it. I also got to go to a book signing. This was for Dawn O’Porter’s Paper Aeroplanes which was a great experience and I love going to events and signings. In June I read my favourite book of the year, Fangirl by Rainbow Rowell! I can remember going out for the day and being completely hooked and not wanting to leave the car. My love for Fangirl is limitless! I also got to go to an Unconference, which was an event with lots of bookish people – authors, librarians and the like. There were different groups where you could talk about various book related things. It was so much fun and I met some really lovely people. There was also an event with C.J. Skuse and Rachel Ward at my local library so it was really nice to meet them again and get my remaining books signed. July was a very exciting month indeed because it was host to my UKYA fortnight and #ukyachat. 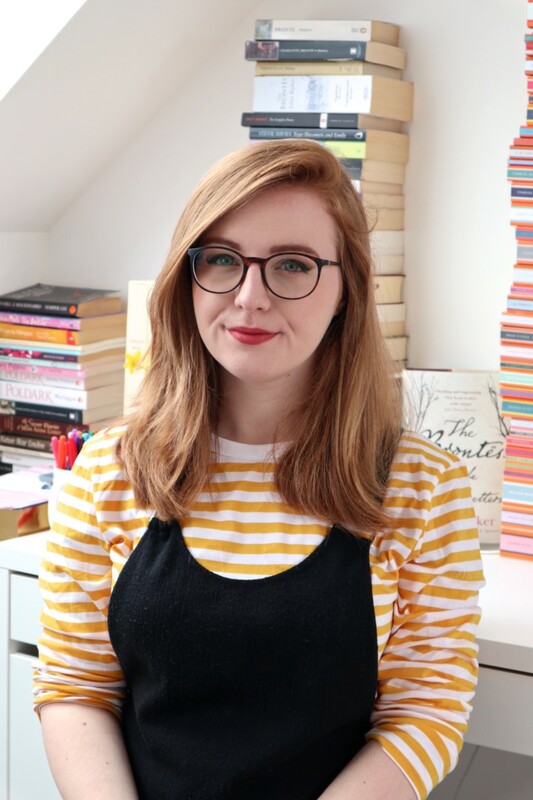 Both things really solidified my love for UKYA fiction and this has continued now to something I’m so passionate about and could talk your ears off about. The support I got during those two weeks was just so amazing and I want to thank you all for being so lovely. July was also the month I moved my blog from Blogger to WordPress. This was such a huge thing to do and I think it showed that I’m here to stay in the blogging world and love it to pieces. I’ve loved WordPress since moving but I did lose a lot of followers during the move and so am still trying to work my way back to where I was before. I’m only just getting to a point where I’m happy with the amount of pageviews or comments I receive because they did drop once I moved to WordPress. I don’t regret it though and am happy I decided to do it. In September I hosted my first cover reveal which was for Runaway by Marie-Louise Jensen. Very exciting! I squealed a bit when I received the email. I got a few odd looks! I also got to meet Samantha Shannon at an event she did locally. I loved The Bone Season so it was nice to hear her talk about the book and the future books in the series. At the start of the school year, I set up a book club. It’s run at lunchtimes once a week and there are around ten of us who turn up each week and talk about books. Most of them are my friends but I’ve also met a few people in younger years and it’s very interesting to hear what my friends like to read because it’s not something that usually comes up in conversation. In September, I set up Project UKYA which has been such a massive success. I’m looking forward to working hard on it and hopefully people will be more aware of UKYA because of it. At the end of September, it was the start of Bath Kids Lit Fest which was so, so amazing. I was honoured to be able to interview some of the authors (who totally rocked!) and I feel like I really matured throughout the week. In September, I got to see Karen Saunders and Mark Lowery, as well as Holly Smale and Andy Robb. They’re authors that I’ve spoken to on Twitter a lot so to meet them in the flesh left me awestruck. The first week of October was also Bath Kids Lit Fest and I met so many amazing people. I’ve wrapped up the week here so if you’d like to read more about that then please do. November was home to the UKYA blog tour, which I started organising in September. Two whole months paid off, though, and it went really well. I enjoyed organising it and I hope you enjoyed reading all of the posts. Due to problems with my original one, I had to start a new YouTube channel. I was sad to leave my old one behind but I’m pleased to report that my new channel has been going really well. Earlier in this post I mentioned how enthusiastic I am about making videos and my new channel has helped with making this official. I love the booktube community so much! Book club also went on a trip to see Malorie Blackman talk which everyone really enjoyed. It was nice to hear her talk again after seeing her the month before and I’m hoping I’ll get to meet her again because she’s one of those people who are really interesting to listen to. That’s my wrap up of the year! I’d just like to thank all of you for supporting me this year. I couldn’t have done any of this without you and I’ve come to love the blogosphere so much. It’s a massive part of my life now and you’ve all welcomed me without question. You’re all my friends now and I’m looking forward to meeting so many more of you in 2014. Thank you, everyone! Sounds like you had a fab year! You were featured in the Daily Mail! That’s awesome, I can understand how unreal it might have been. But AWESOME MUCH?! Happy New Year! I look forward to getting to know you better in 2014! Iris recently posted…Happy New Year! Woah that is so awesome how you were featured in a newspaper! Wow it seems your year was jam-packed, good for you! I like how you’ve set out this post. Such a great recap Lucy, I’m glad you’ve had such an amazing year! I really love you blog and enjoy reading it, so well done! Georgia Berry recently posted…Interview with Jamie Baywood! So jealous! You had the best, bookish year ever! I’d LOVE to meet even just one of my favourite authors but I live in the middle of nowhere and not many authors come out here! 🙁 WOW! I didn’t know you got featured in a newspaper! That’s amazing! I hope you have another great year in 2014, Lucy! A fantastic round up of what sounds like an amazing year! You sound like you’ve had a really busy year Lucy and I hope 2014 is just as good. I’m always impressed with how much you’ve managed to do at your age! At 14 I was just lazing around. I love your blog and looking forward to more from you!